"With Satan and His Daughter, The Angel Liberty, R. G. Skinner poetically offers us Victor Hugo’s compelling story about the compassionate Angel Liberty’s attempts to save her conflicted father, Satan. This fable of good and evil—so exceptionally meaningful in today’s chaotic world—would otherwise be inaccessible to English speakers. Moreover, Skinner’s poetic prose translation of the original verses parallels Hugo’s ingenious melding of poetry and prose. 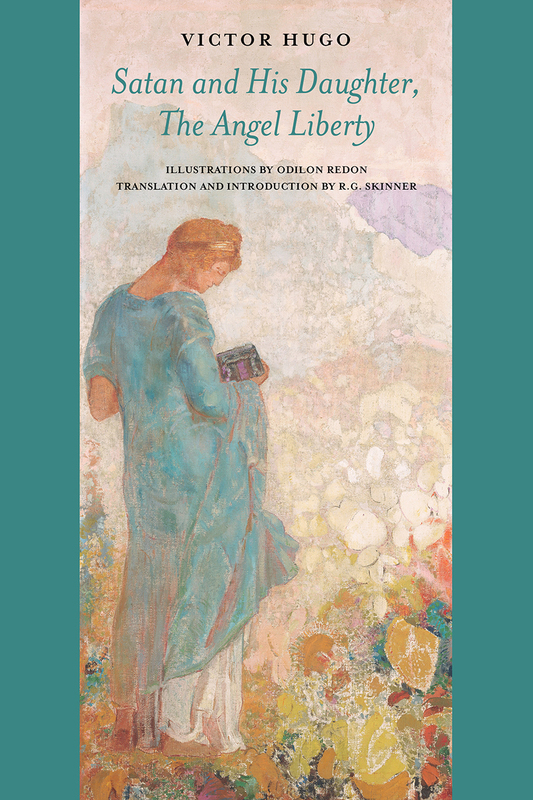 By insightfully connecting Odilon Redon’s symbolist, mystical art with lines from the poem, Skinner underscores Hugo’s visionary, avant-garde literary and artistic qualities. As the translator’s well documented introduction explains, this narrative poem expresses many of Hugo’s most deeply held beliefs and actions around social justice and spirituality: his tenacious battles for liberty, unending belief in the power of forgiveness and the possibility of redemption, and lifelong search to understand God. Too long too little known, Victor Hugo’s beautiful, thought-provoking Satan and His Daughter, the Angel Liberty deserves the fine treatment R. G. Skinner has given it." "In this book, Satan and his Daughter, The Angel Liberty, R.G. Skinner breathes new life into French poet Victor Hugo by translating selected verses of Hugo’s La Fin de Satan into poetic prose. Notable, moreover, is the use of images by French artist Odilon Redon to illustrate Hugo’s verses. Though not originally created for the poet’s work, Redon's images, introduced to the reading public in Joris-Karl Huysmans’ 1884 novel A rebours (“Against Nature”), perfectly depict the dark themes of Hugo’s verses: evil and its counterpart, forgiveness. I hope that, like myself, readers of this prose translation will be enchanted by both Hugo’s and Redon’s ability to capture the darkest side of our soul, and its redemption."